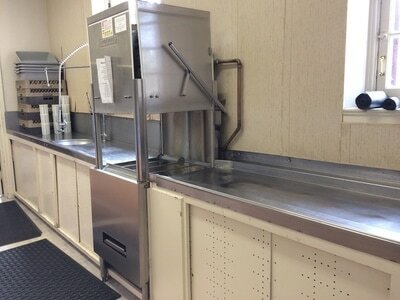 Trinity’s kitchen would normally be used for coffee hour and a few church dinners each year. It was last updated in the 1960’s to accommodate the Bay County Senior Citizens luncheons, before Food of Faith existed. Once Food of Faith began no one knew how much it would grow and how many people it would serve over the next 22 years. The kitchen was never intended to withstand the heavy use that Food of Faith demands from it. 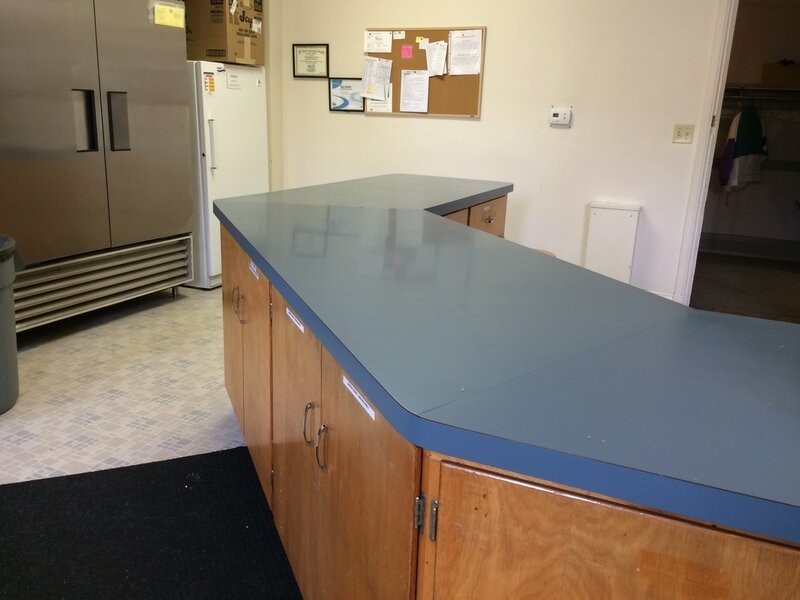 These updates are not to improve the kitchens for the parish of Trinity or Trinity activities, they are to improve the kitchens so Food of Faith can continue uninterrupted. 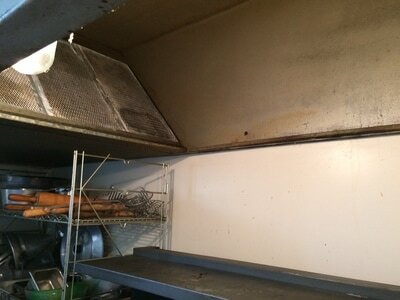 The stove is undersized for the amount of meals required each Sunday but we had pizza ovens in the church basement that increased our capacity. The pizza ovens are no longer operational so we are limited on what we can prepare. The new oven will double our baking capacity allowing us more options for our guests. 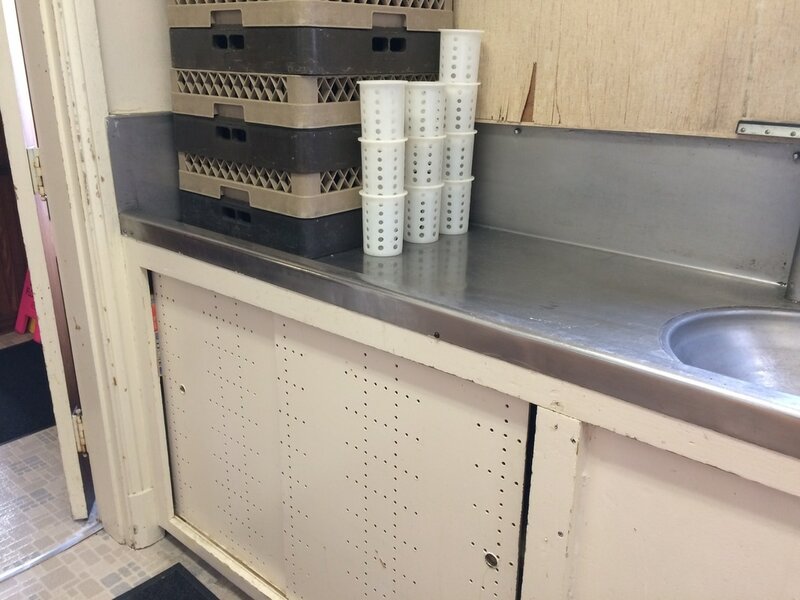 The west wall near the dishwashing area is crumbling because of the amount of moisture created because of the volume of dishes washed. 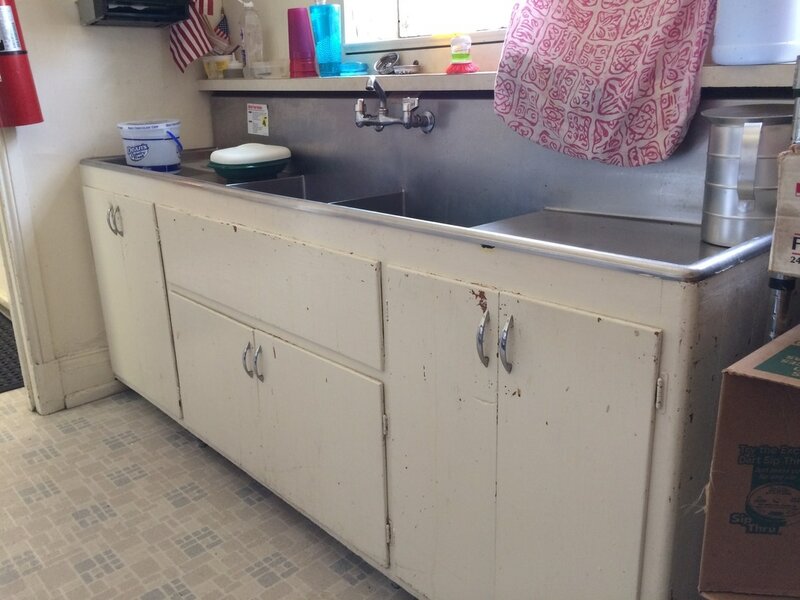 Surface areas under dishwasher, sink and garbage disposal are difficult to clean and the fiber board door have deteriorated and have become porous which makes them harder to sanitize. Over time the Formica counter tops have become pitted and worn making them harder to keep sanitized. 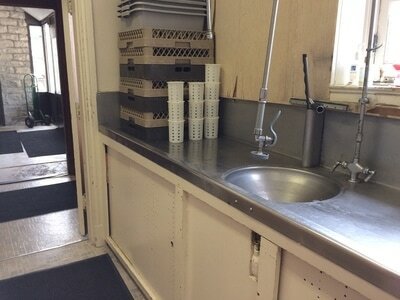 There is no mop sink for emptying the commercial sized mop buckets and other dirty water containers. 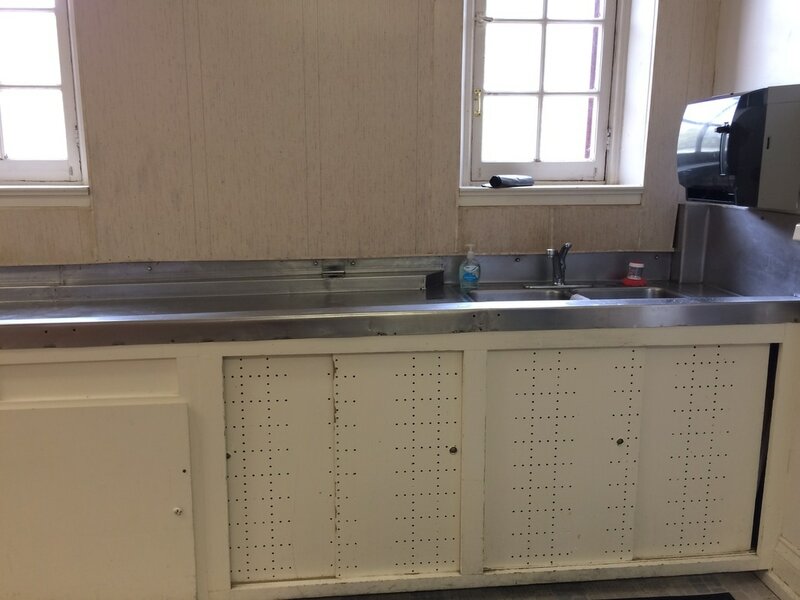 This kitchen renovation project is a necessary initiative to assure the life of our ongoing outreach Food of Faith program. 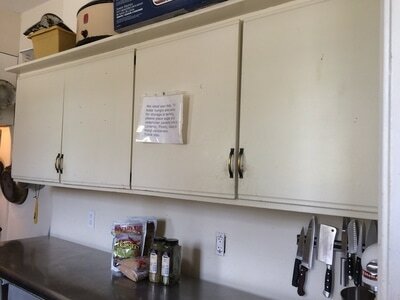 In the past two years our storage closet was repurposed to a Food and Personal Needs Pantry and all Food of Faith products and supplies were moved to the kitchen. There just is not enough room to keep things organized and enclosed. Because we have an all-volunteer run program consisting of people who may only be in our building 3 or 4 times a year it is important that they can find supplies easily and be assured they have been stored in a clean and consistent manner. The need for Food of Faith program: The people of Food of Faith come from all different circumstances to share a meal and companionship Sunday afternoons at Trinity. 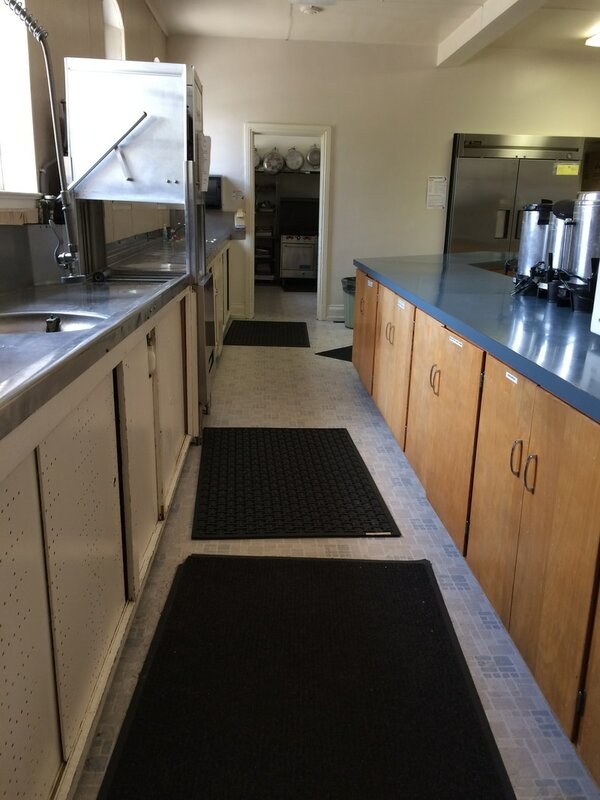 As you can imagine our kitchen, dining room, bathrooms, common areas, and entrances are well-used, especially in the wintertime, when people come extra early and stay longer to enjoy hot coffee and companionship in the warmth and safety of our building. Food of Faith has averaged 6,800 meals served per year since 1995 (in the past 5 years that number is over 7,000) which is more than 149,000 servings. Our partner churches/groups bring between 10-15 volunteers which is an additional 11,000 + people using our facility. Bay City Median household income (in 2015 dollars) for 2011-2015 was $34,743, which is $21,773 below the national median. The percent of persons in poverty in Bay City in 2015 was 22.2% as compared to the 13.5% nationally in 2015. 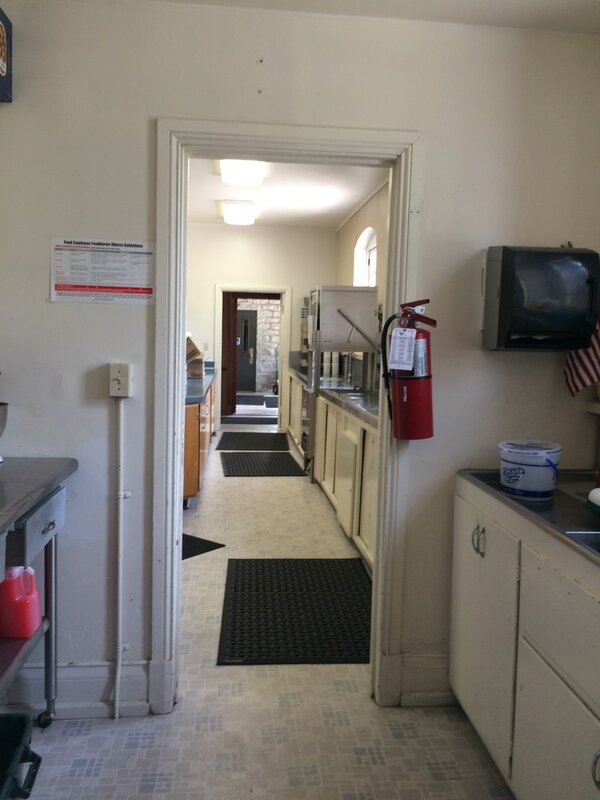 We are the only facility providing a Sunday meal on Bay City's east side that serves anyone in need, without requiring proof of need or any personal information. Many of our guests do not have transportation and because we are located is an area where many people live in poverty it is easy for them to reach us on foot. As a society we have addressed the nutritional needs of the children of our community during the week through our hot lunch programs in our schools but weekends present a challenge for parents. Food of Faith is the only hot and nutritious weekend meal some of the children get. In addition to a hot meal, we model healthy behaviors and give our guests a sense of community. We believe that because people living in poverty can look forward to Food of Faith every Sunday, it reduces their anxiety and fear of being hungry, it gives them something nice to anticipate, and a sense of safety while they are here. 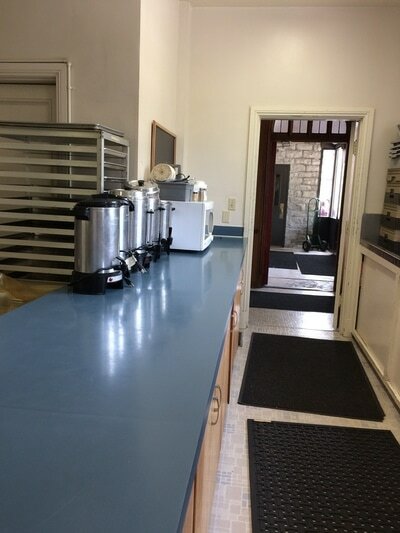 They are able to come early and enjoy coffee and visit with their friends and family. Being able to let their guard down and relax enhances the quality of their lives. And although there are no statistics to support it we believe that by providing a hot meal may lessen crimes of necessity. The additional benefit to the community is the impact it has on the volunteers who come each Sunday. Volunteers range in age from about 7 to over 70. For the young people who volunteer it gives them a more realistic view of their community as a whole and how they can impact it in a positive way through service. And at the same time we honor our commitment to God as individuals and the church. We will complete each project as funds become available. 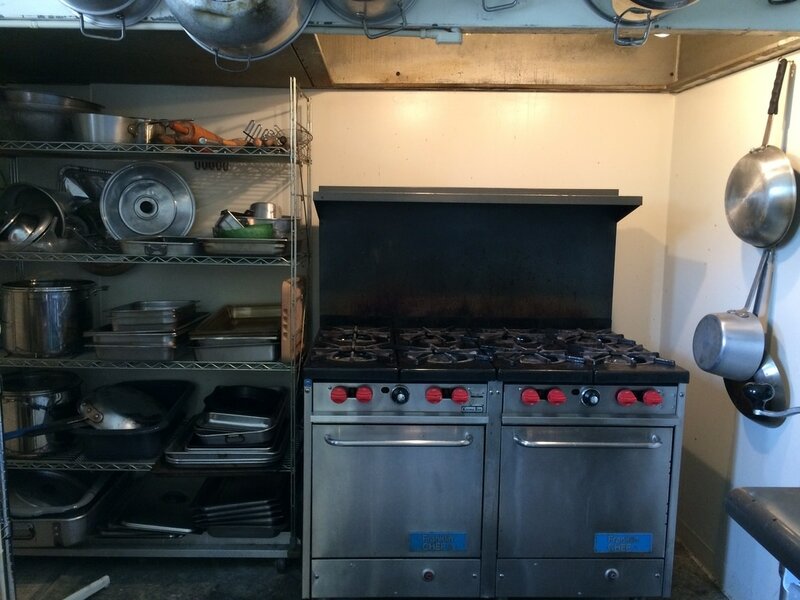 ​This is a stand-alone project that, once completed in its entirety, should satisfy our Food of Faith kitchen needs for the next 40-50 years. Trinity Episcopal Church will continue with the day to day maintenance of the kitchen. We are applying for additional grants through the Episcopal Diocese, and other agencies. We have also requested financial aid from our partner churches/groups who assist with our weekly serving. We continue to look for other outside sources for funding.